Go Mouse Scouts | Visiting Disneyland and Disney World with Kids | A Fan Podcast Bringing you Disney Park Tips & Family Fun! 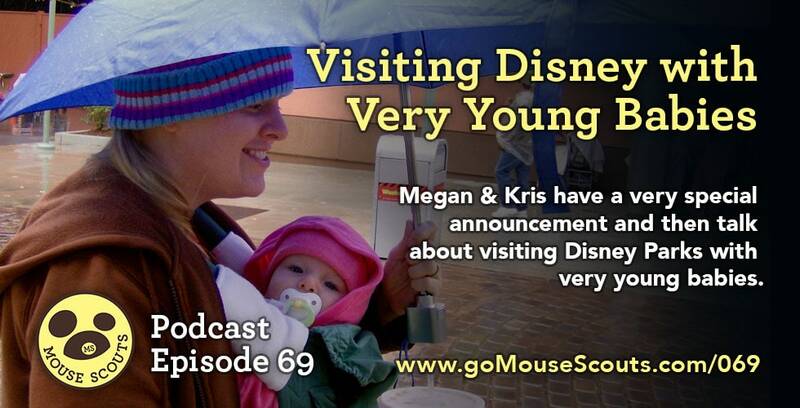 In this episode, Megan & Kris have a very special announcement and talk about visiting Disney Parks with young babies. Hint: It's easier than you think! • A lot of people intimidated by it. • Tell how soon we took our kids. • Easier than taking an older baby. • Baby wearing is key. • Take it slow, listen to babies needs. • They can go on a surprising number of rides. • Don't be afraid. Just do it! Get in Touch with Mouse Scouts! Email us at fun@gomousescouts.com, find us on Facebook, Twitter, and Instagram. Subscribe in iTunes, Stitcher, Google Play, and iHeart Radio. Also, catch us on DiS-Versal Radio! 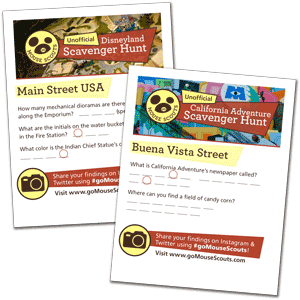 FREE Unofficial Disneyland & California Adventure Scavenger Hunts! We put together a free (yet unofficial) scavenger hunt each for Disneyland and Disney California Adventure for you to bring with you next time you go to the parks! Inside you'll find 17 questions (for each park) to figure out, some easy, some challenging, which will take you through each land at each park. Finally, they come together at the end to give you one final riddle. Sign up for our email list (below) and we'll email it right out to you! We'll also let you know when our book is released and keep you up to date on news, contests, and our latest podcast episodes. Go Mouse Scouts is a family-friendly fan podcast dedicated to helping you and your kids have a great time at the Disney Parks! We release two episodes per week: Mondays are Disney Park tips where we share our experience visiting Disney Parks with young children and Fridays are fun conversations with our kids where we get our children's perspective on life, Disney-related or otherwise.